Cromlix afternoon tea is a mouthwatering treat in luxurious surrounds. 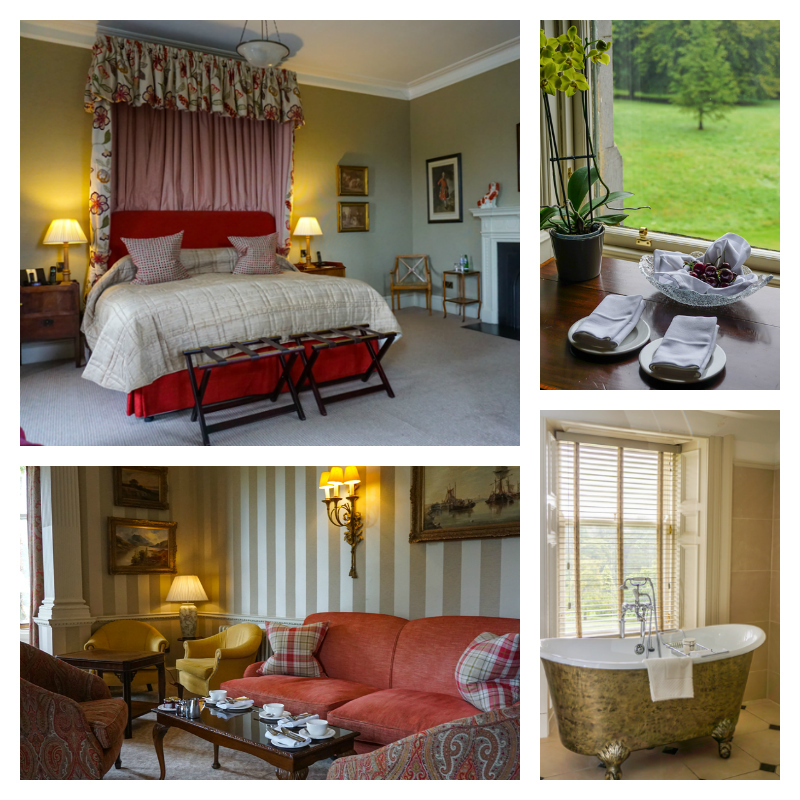 Situated a short drive from the picturesque town of Dunblane is the beautiful Cromlix Hotel. 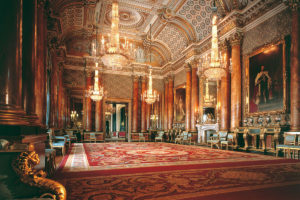 This magnificent Victorian mansion has been tastefully restored to its former glory by tennis champion, Andy Murray. 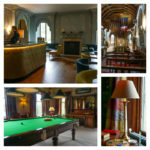 Offering 5 star luxury, Cromlix Hotel offers stylish decadence and is the perfect location for a relaxing short break. With 5 sumptuous suites and 10 guest bedrooms and magnificent views across the beautiful Perthshire countryside, Cromlix provides an idyllic escape. Set in 34 acres of quiet woodland and garden grounds, Cromlix boasts its own loch stocked with brown trout. Look out for their kitchen garden, bursting with fresh fruit and veg. If you’re lucky, you might spot Colin, the resident Rooster, pecking around outside the carefully fenced kitchen garden. 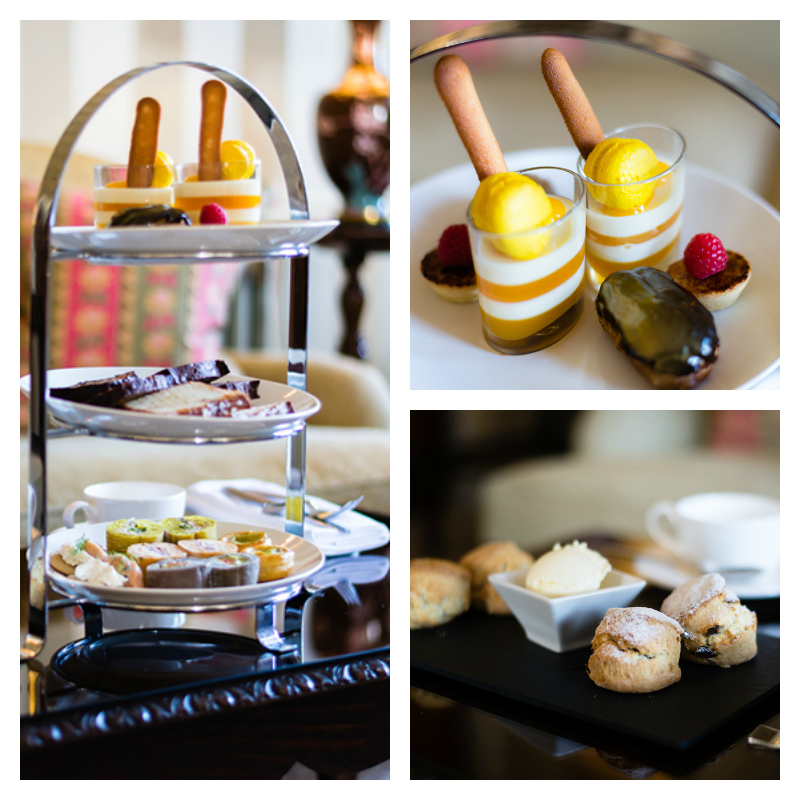 Afternoon tea at Cromlix is served in the bright and elegant lounge. The hotel’s culinary delights boast the Chez Roux brand ensuring a memorable dining experience. A traditional affair, this delicous afternoon tea is served on a three tiered cake stand. 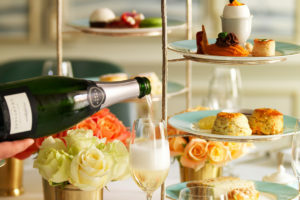 Finger sandwiches with seasonal, savoury fillings are accompanied by freshly baked fruit and plain scones served with sweet confit and clotted cream. 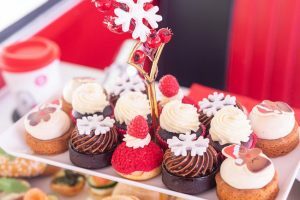 Tempting home baked cakes and sweet treats will tease your tastebuds. Cromlix afternoon tea is served with a selection of fine, loose teas and a glass of chilled champagne will add a welcome sparkle. 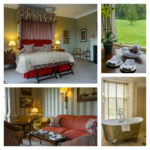 With sumptuous accommodation, exquisite dining and the chance to unwind in restful drawing rooms, an airy conservatory, or while away a glass of whisky in the grand snooker room who could resist spending a few days in this most scenic part of Scotland. 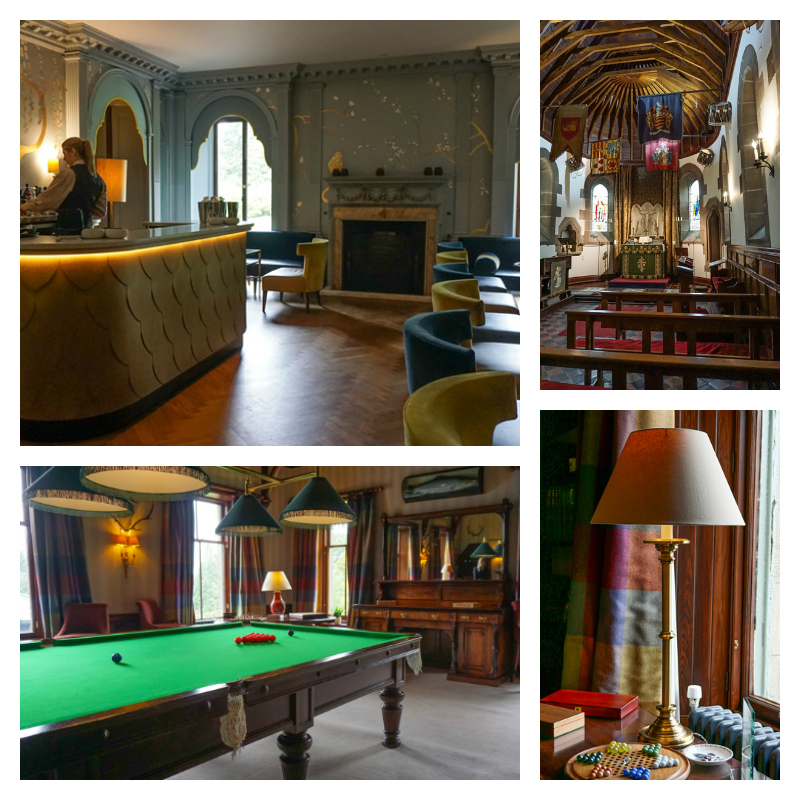 For those who like a traditional Scottish dram, Cromlix even has its own whisky tasting room and a beautiful chapel where Andy Murray’s brother said his wedding vows. Whether it’s afternoon tea, a lazy lunch or a luxury break, you will be assured of a very warm Scottish welcome. 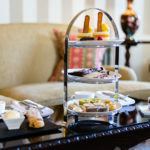 TOP TIP: Afternoon tea at Cromlix is exceedingly popular. You are strongly advised to book months in advance. Afternoon tea images courtesy of Cromlix. All other images by Phil Winn Photography.